Fast and easy on mietmischer.de − the platform to connect you with your carriers and the rental of concrete trucks. 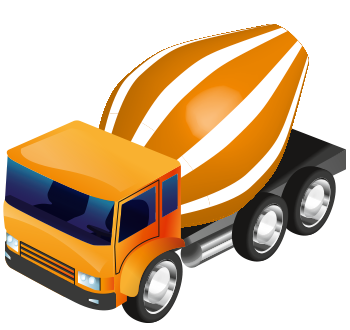 Offer your fleet of concrete mixers and trucks, plan the availability and set your times and prices. Answer your customers requests directly through the platform. Look for a concrete truck at the last minute or plan days in advance. We connect concrete producers and concrete carriers and offer the ability to plan just in time, or make new connections with customers. We help you even in peak hours to deliver your concrete, fast and relaxed.